What is the Sound of Green? Portland, OR is on the forefront of the Green movement. The emphasis is on renewable, recyclable products and living with a light footprint – bicycles and buses, grey water and bioswales, minimal packaging and shared resources. No one specific genre of music is identified with this cultural shift, but there are emotional elements which bubble up whenever people converse about Green issues – that can be supported and enhanced musically. A positive, hopeful outlook usually pervades Green discussions. In spite of the seemingly rudimentary techniques often utilized, there is an accompanying pride, awareness and intentionality that emanates from an intelligent, youthful and tech-savvy Green community. It started with simple things like community gardens, grocery co-ops and the Bottle Bill. It has evolved into national and international standards for forestation, energy production and Green building. 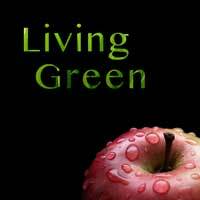 I propose a collection of 12 pieces that communicate the outlook and emotions driving the Green movement. They will utilize familiar sounds and instruments – starting small, but embracing and building to something much larger – orchestral, occasionally anthemic. High-tec sounds will be sprinkled in along the way to keep the movement in touch with the 21st century. The main focus will be on hope and on the confidence that is gaining momentum as global issues drive home the need for a new approach to day-to-day living. What is the Sound of Virtual Green? Did you notice anything peculiar about the guitar playing? If you didn't, then you're my best friend. 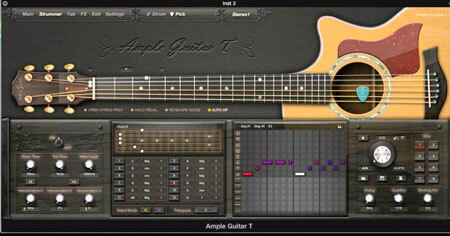 It's all virtual guitar. Maybe it's too hard for me to see the forest - because I was in it for so long creating it and massaging it, but it sounds pretty damn realistic to me. The technology has just gotten that good! To be fair, it took working out fingerings and recreating them exactly as played in order to manufacture the realism, but I feel like it got amazingly close. That was the real challenge of this project - to see if I could perform all the guitar parts virtually. Full disclosure - several of the guitar parts had been conceived and recorded by Portland, OR acoustic guitar master, Doug Smith, on another loop project that we created together years ago. I liked some of those themes and studied them closely in order to be able to translate them to a virtual instrument. The power that comes with that process is that I was then able to amplify the writing with brand new sections and parts. There are two pieces where one of the guitar parts is actual (recorded in my studio by a live player). Can you figure out which pieces/parts they are? You can find those pieces in the "Environmental" section on the Listen! page, or on the Deep Sea Music Bandcamp page.